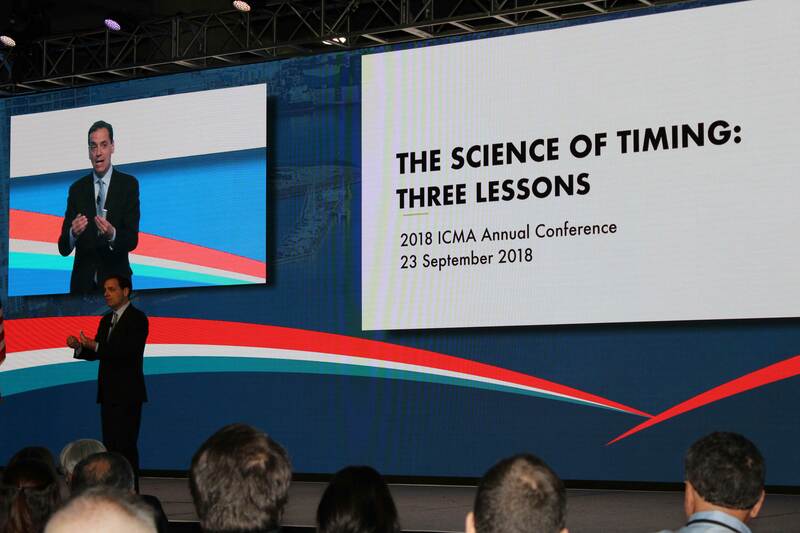 Watch Daniel Pink's opening keynote through the 2018 ICMA Annual Conference Archives. In his trademark high-energy, witty style Daniel Pink entertained and educated an overflow crowd at the opening keynote of the 104th ICMA Annual Conference in Baltimore, Maryland. Pink’s most recent book, When: The Scientific Secrets of Perfect Timing, was borne of personal frustration. Pink believed that he could be more productive if only he could find data that helped pinpoint when specific types of tasks should be performed to achieve optimum productivity. He found lots of research on the topic, but none of the scientific disciplines referenced one another. So Pink synthesized the data and developed some fundamental principles that he says will help local government leaders perform better without spending a lot of money. Looking at “big data” that analyzed everything from tweets to CEO conference calls with market analysts, Pink pointed out that the hidden pattern of the day profoundly affects our mood and performance. Eighty percent of the population follows a pattern of a positive mood in the morning, a significant dip in the afternoon, and a recovery in the evening. He essentially found the same pattern with performance; leading him to state, “If you learn nothing else from this session: don’t go to the hospital or to a medical appointment in the afternoon.” He explained that mistakes are significantly more likely to occur in the afternoon versus in the morning. His rules that follow include scheduling the types of work that require the most vigilance—analytic tasks—early in the day. The mid-afternoon should be reserved for “mindless, administrative work,” and less vigilant but more creative tasks should be handled later in the day. He challenged the audience to become more purposeful about scheduling meetings—less about when people and a room are available and more about what’s the best time of day to get the most out of the limited resources at your disposal. Fully detached (no phones or computers) beats semi-detached. He wrapped up with the idea that people energize around endings and that shorter deadlines are better than longer ones. He advised leaders to begin with bad news before good news because people like to end with something that elevates. He suggests motivating people by shining the light on endings and turning them into “meaning makers.” Pink’s final words: All of us are temporal creatures, we are timepieces moving through time and if remain aware of the temporal patterns, we stand to live better lives and get more work done. David Johnstone welcomed attendees and introduced the conference theme of courageous leadership with many examples of members around the world who lead with integrity and innovative approaches in the face of disasters and environmental challenges. 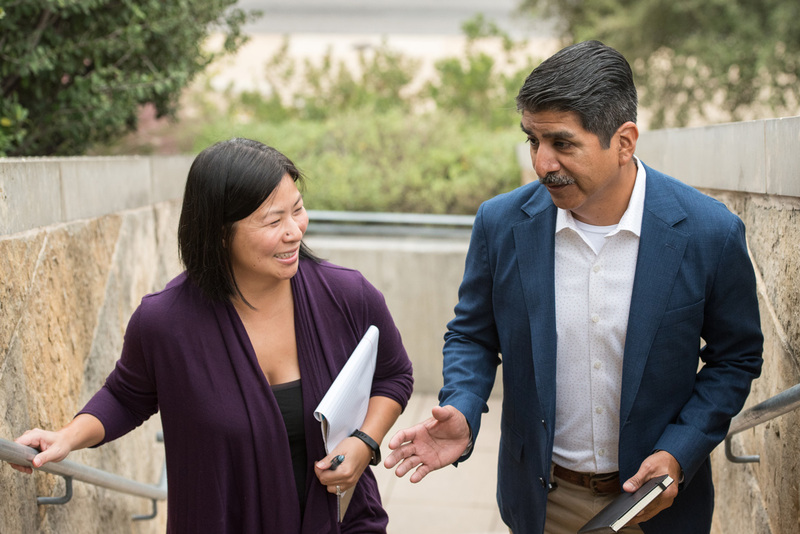 On Wednesday, Johnstone will move into the past president slot and Karen Pinkos, assistant city manager of El Cerrito, California, will be inducted as the 2018-19 ICMA President. You can access this presentation and other ICMA 2018 Annual Conference sessions through the ICMA Virtual Annual Conferencs Archives. Available on demand, it’s a great way to participate in educational sessions presented by knowledgeable speakers, and earn credits toward your ICMA-CM or AICP-CM without the cost of travel.